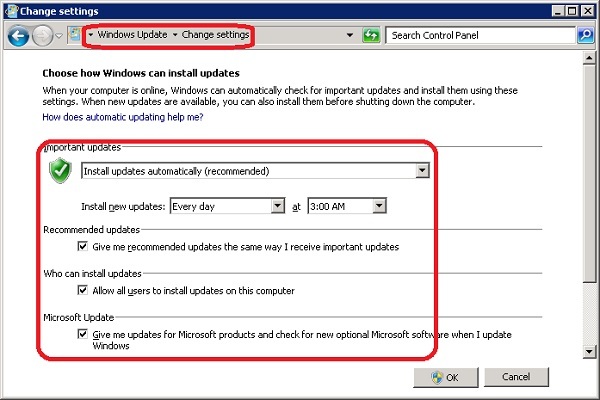 How to change settings of Windows Update on Windows Server 2008? I want to set it receive updates automatically. 2. Click on "Change settings" link on the left. You see the settings screen. [x] Give me recommended updates the same was as important updates. Sometimes, you see a warning message: Some settings are managed by your system administrator. Do not worry about this warning. Your computer is probably configured to receive updates arranged by your IT staff.